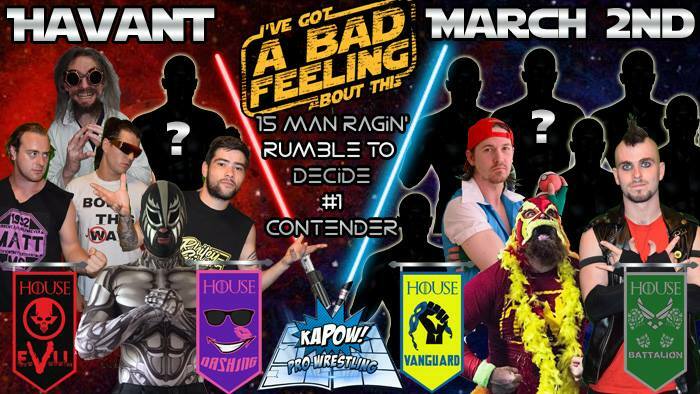 15 Man Ragin’ Rumble I sense a great disturbance in the Force…! Just when this show couldn’t get any bigger, we put 15 of KAPOW’s brightest and best superstars in the ring to earn a future Heroweight Title opportunity! With House honour also on the line, who will lead the charge onwards into 2018?